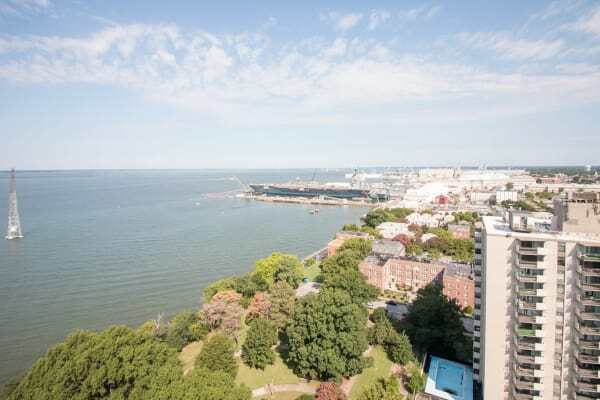 Overlooking the James River, River Park Tower Apartment Homes is convenient to the best of Newport News, VA. Major local employers include Huntington Ingalls, Langley AFB, and Fort Eustis, as well as the City of Newport News. Scholars are close to class at Hampton University, Christopher Newport University, and Norfolk State University. Our family friendly neighborhood is home to Achievable Dream Academy, Crittenden Middle School, and Heritage High School. River Park Tower Apartment Homes sits amid a number of local parks, and is close to Fido Field Dog Park for some fun with the pup. Residents might consider getting their hands dirty in a plot at the community garden, or opt to observe the wildlife at the Virginia Living Museum. Shop to your hearts content at Peninsula Town Center, or pick up the basics at Jim’s Local Market or Walmart Supercenter. Take the night off and head to The Train Station to watch the river go by, eat some delicious seafood, and listen to live jazz. Call anytime to learn more about renting a pet-friendly one, two, or three bedroom apartment at River Park Tower Apartment Homes, a Morgan Properties community in Newport News, VA.